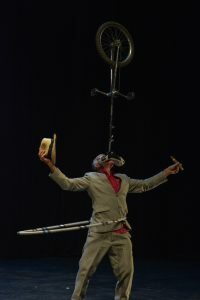 In October as part of Circus 250 celebrating 250 years of circus at Circomedia in Bristol we held a SOLD OUT show to an audience ranging from age 70 – age 4. We had a ball! The show was hosted by the Queen of Cabaret, Goldie Fiasco and had our core acts from Mahri & Leo and Ellie, featuring some new acts with bubbles and pickled eggs (not together!). Thanks to Circomedia, all who took part and all who came and had fun.